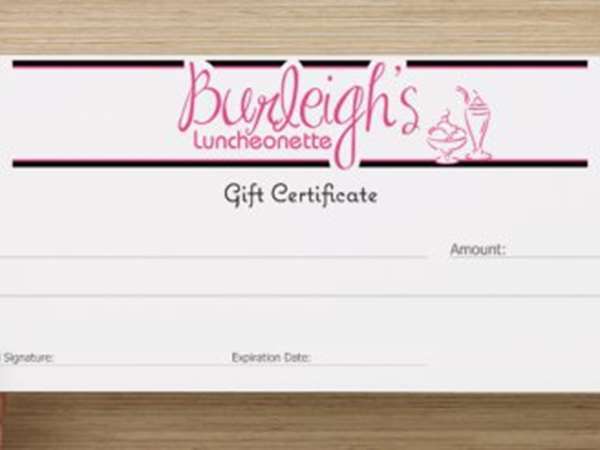 Burleigh's Luncheonette is a 1950's themed restaurant located in the heart of historic downtown Ticonderoga, New York. Burleigh's will take you on a nostalgic trip back to the 1950's while you enjoy our delicious American style food as if it came from your grandma's kitchen. Burleigh's is owned and operated by the Barber Family.